With an average length of over 20 inches, our short wholesale LARP swords possess a greater length than many of our wholesale LARP daggers while providing an economical alternative to our longer wholesale foam latex swords. 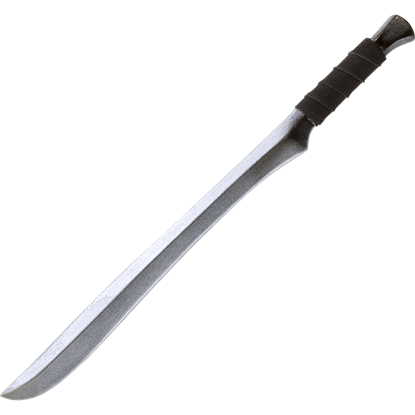 At LARP Distribution, we carry a fine selection of these compact LARP weapons, including LARP short-swords, LARP machetes, LARP wakizashi, as well as many other excellent designs. These short LARP swords come in a number of styles ranging from Celtic to fantasy to medieval to suit a wide variety of role-play characters. Raid the English coast, and partake in the rich spoils discovered there, as a Norse warrior from the Viking Age. 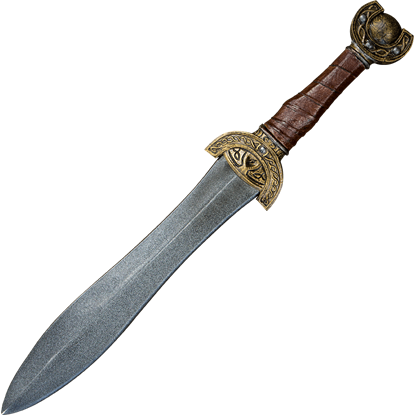 The Carved Hilt Viking Short LARP Sword is a trustworthy companion for said adventure, lending its strength in battle. 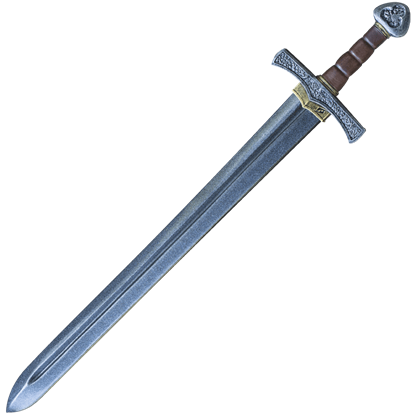 Fight like a mighty Celtic warrior on the battlefield with the Celtic Leaf Short LARP Sword! 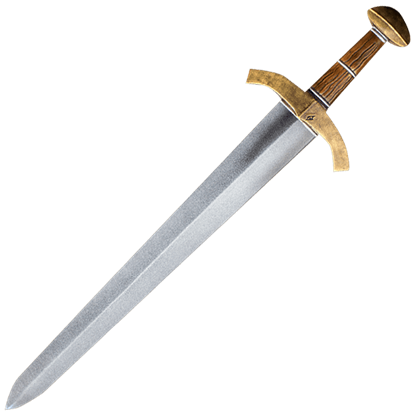 This medieval inspired short LARP sword is crafted in the double-edged, leaf-bladed style that the Celts preferred with their swords. This Dark Elven Blade LARP Sword features a distinctive look with a curved blade, an edged guard and pommel, and a ring-guard on the underside of the hilt. All in all, it is a quality LARP weapon for any discerning warrior. A great evil overshadows the beautiful woodland entrusted to your care. 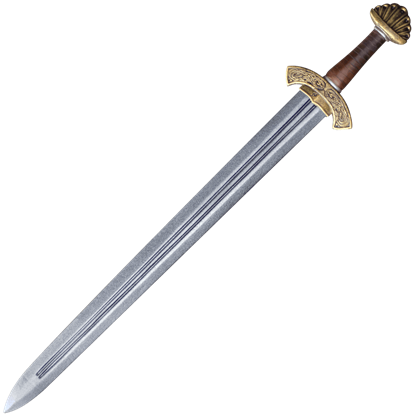 Stave off the darkness and restore peace to the entire realm with the Elven Warrior LARP Short Sword. This trusty sidearm proves its worth during LARP warfare. If you are a medieval knight embarking on your most harrowing feat yet, take the LARP Crusader Short Sword in hand and prepare to battle for your life. This high quality LARP sword is made of closed cell foam with a fiberglass core. Elves are known for their grace, which encompasses not only their movement and clothing but also their weapons. 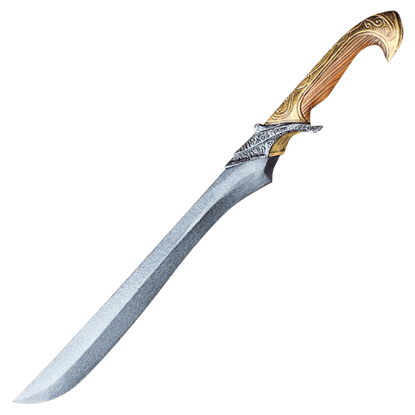 Understated in its design, this LARP Elven Blade - 60cm is an elegant and easy choice when it comes to elven arms. In deft hands, a short blade can be every bit as deadly as a long one. The LARP Elven Short Sword emulates the style of blade that elf rangers and scouts favor when it comes to keeping themselves safe in the woods and wilds. 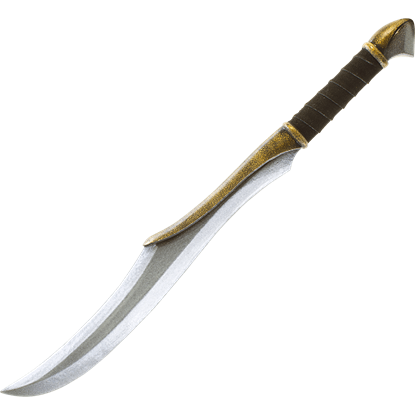 Its name may imply that it is great for hunting, but do not let that fool you into thinking that this LARP Hunting Sword is only for hunters. 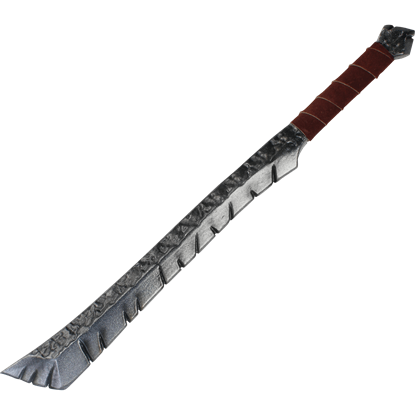 Far from it, as this wicked short sword is a great weapon for any warrior to wield! 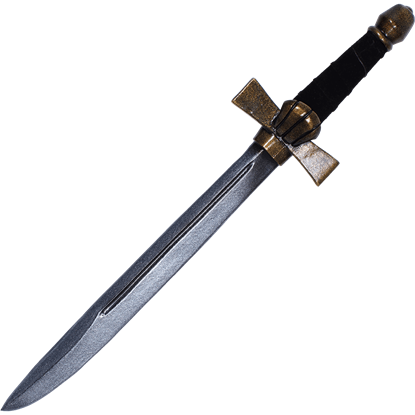 German for war knife, this LARP Kriegsmesser Short Sword recreates a historic battle dagger that was a favored weapon of soldiers and mercenaries in the German Late Middle Ages from about the 14th century to the 16th century. 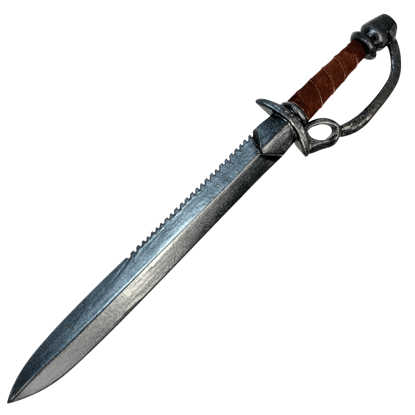 Orcs are a brutal people, and their weapons reflect their temperament and savage nature. 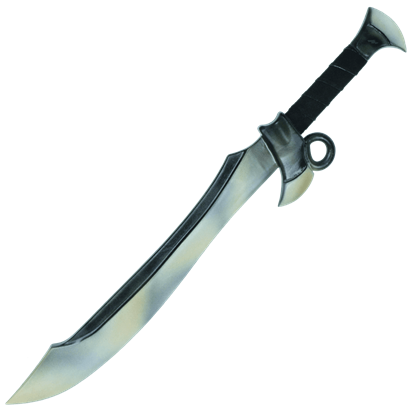 Take for example this LARP Orc Short Sword. What it lacks in grace it more than makes up for with a wicked look and an effective design.